Located in the very heart of Slough Town Centre the centre is a fantastic location in which to promote your business to Slough shoppers and there are a number of ways your business can do this. For short term lets please contact site Lettings Manager, Bina Vyas by telephone on 01753 213040 or via email. Click here view a copy of our brochure. Retail units ranging from 400 sq. ft. to 3000 sq. ft. are also available for long term lets. 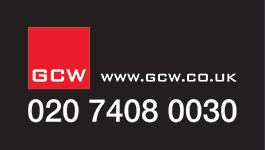 For further information please contact our letting agents GCW. The centre has retail units available from 400 sq ft to 3000 sq ft. For further details please contact our on site Lettings Manager, Bina Vyas by telephone on 01753 213040 or via email at info@queensmereshopping.co.uk. The centre has Retail Mall Unit’s and promotional space available for short and long term lettings. For further details please contact Alice Hearn on 0161 817 5282 or via email at alice@shoppertainmentmanagement.co.uk. Just 5 minutes walk from Slough Train Station with trains to Paddington just 20 minutes away, Wellington House is one of the largest office buildings in Slough and its central location overlooking the town square makes it a very attractive prospect for office space letting. For further information please contact David Thomas of Vail Williams via telephone on 0118 909 7404 or via email at dthomas@vailwilliams.com. If you are a business wishing to hire space at the centre for a promotion, please contact Alice Hearn to advise you on prices and availability by calling 0161 817 5282 or via email alice@shoppertainmentmanagement.co.uk. The centre can also offer mall space in our promotions area. Perhaps you’d like to promote your local dance or drama school, arts and crafts activities, sports club or charity. To discuss opportunities and book your event, please contact Alice on 0161 817 5282 or via email at alice@shoppertainmentmanagement.co.uk. We have a selection of one and two bedroom executive apartments to let, located in the heart of Slough town centre. The properties are offered furnished/unfurnished and some benefit from balconies. All are within easy walking distance of local transport links and the mainline railway station, which offers fast services into London Paddington with journey times of less than 20 minutes.